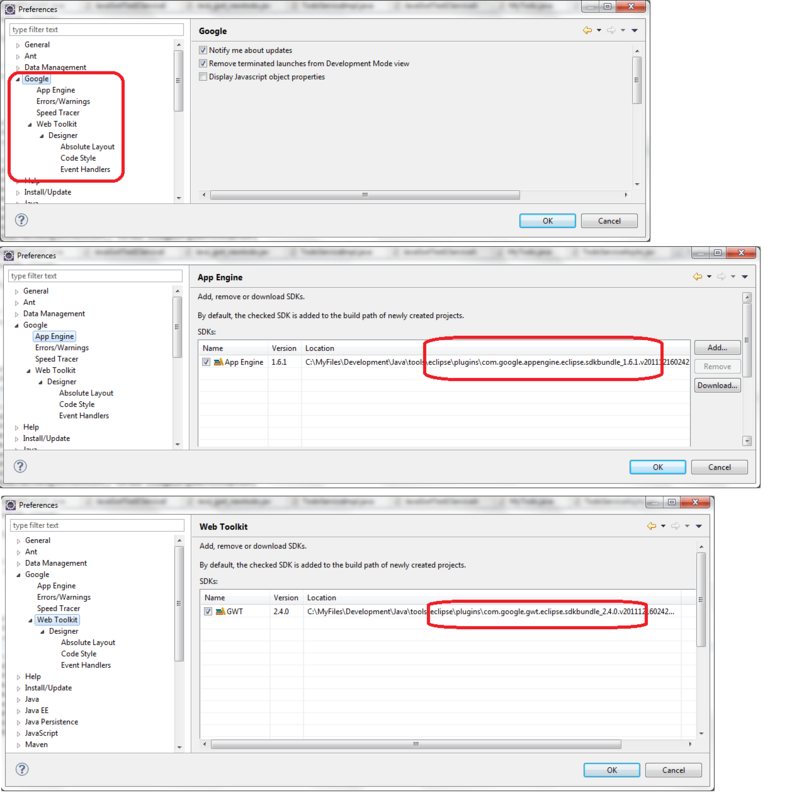 To develop with GWT and on GAE, it is necessary to install the Google Tools for Eclipse. These tools are plugins which provide both Google App Engine and GWT development capabilities. 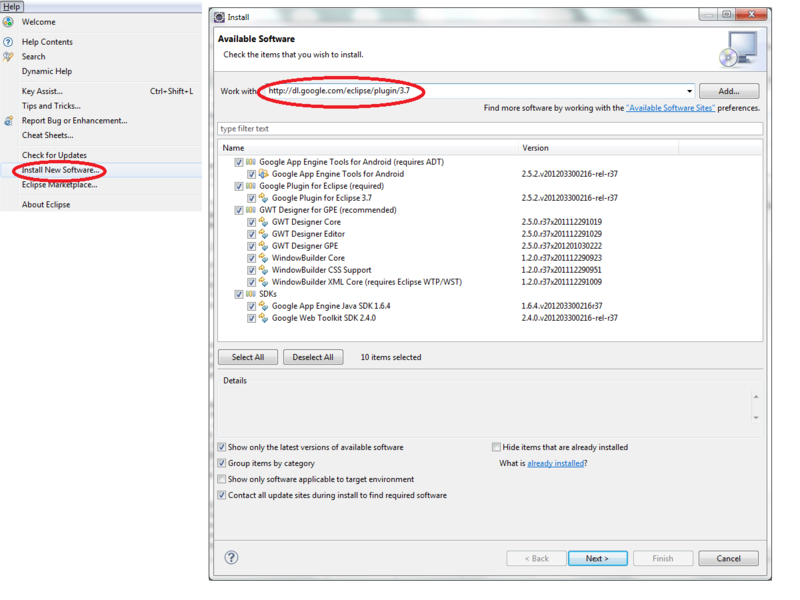 This article exposes the installation of Google Web Toolkit (GWT) Plugins for Eclipse 3.7 and SDK GWT Designer (GWT Designer Core/Editor/GPE) & Google Web Toolkit SDK 2.4.0. Google Web Toolkit SDK 2.4.0: The Google Web Toolkit SDK contains the core libraries and compiler that you need to write web applications. GWT Designer (GWT Designer Core/Editor/GPE): GWT Designer is a powerful and easy-to-use bi-directional Java GUI designer that lets you create user interfaces in minutes with tools for intelligent layout assist, drag-and-drop, and automatic code generation. Google App Engine Java SDK 1.6.1: Google proposes a cloud computing infrastructure named Google App Engine (GAE) for the hosting and running web applications. An Google email account is necessary to deploy an application to GAE. The GAE dashboard is accessible at the URL http://appengine.google.com/ with the Google account information. During the first access to the GAE dashboard, the account owner is verified via a SMS with a verification code sent to a needed valid phone number. WindowBuilder Core/CSS Support/XML Core: WindowBuilder is composed of SWT Designer and Swing Designer and makes it very easy to create Java GUI applications without spending a lot of time writing code. 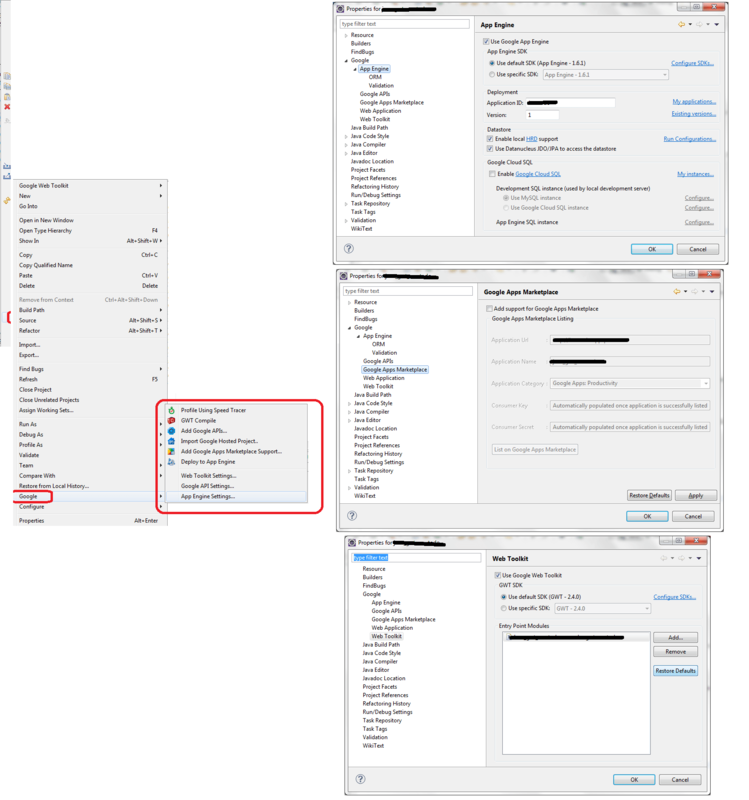 Use the WYSIWYG visual designer and layout tools to create simple forms to complex windows; the Java code will be generated for you. 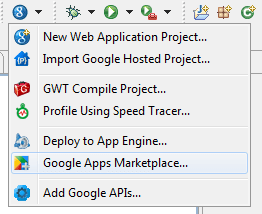 Speed Tracer Eclipse Plugin: Speed Tracer is a Chrome Extension or Eclipse Plugin that allows you to pinpoint performance problems in your web applications. For more information, see the official site https://developers.google.com/web-toolkit/download.